Laguna playwright and dramaturg Lojo Simon leads the Bare Bones Theatre, which encourages audience discussion after each performance. Dramatic performances in the area encourage audience members to play a role in the production, too. Around the world, a new type of theater is emerging, knocking down the fourth wall, or the imaginary line that separates the world of the characters on stage from that of the audience members. 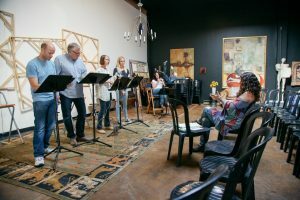 This new genre enables actors and directors to communicate directly with the audience about the material, storyline and themes in a given play—typically in the form of a post-production discussion. Many credit Augusto Boal, a Brazilian theatrical director and writer with this innovative movement; in the 1970s, Boal developed Theatre of the Oppressed, an interactive form of theater that tasked audience members with acting out solutions to a play’s inherent social problems. Many Theatre of the Oppressed productions were politically motivated, with a focus on community issues and injustices, but they all had a similar effect: creating synergy between theater and real life. Two local organizations, Bare Bones Theatre, led by playwright, dramaturg and Laguna resident Lojo Simon, and Theatre for a New Generation, spearheaded by Donna Inglima, director of youth theater, education and outreach at Laguna Playhouse, are following some of Boal’s guidelines by engaging their audiences as well. Simon and Inglima, each a storytelling tour-de-force, offer programs that encourage audience members to delve deeper into a production’s plot, social context and political or historical lesson. The result? An innovative, hands-on opportunity that promotes a better understanding of ourselves and each other through theater and its endless storytelling capabilities. 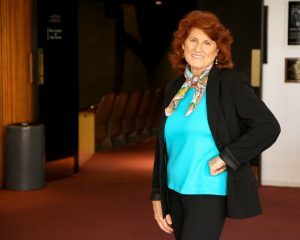 Simon got started as a playwright while working in La Jolla, Calif., as a journalist by day and a volunteer in her daughter’s school plays by night. Already immersed in telling other people’s stories through journalism, Simon became increasingly intrigued with playwriting. She took a weekend class in the subject through Idyllwild Arts Academy’s Summer Program and hasn’t looked back. Eventually, Simon entered the Masters of Fine Arts (MFA) program in playwriting at the University of Idaho. “My MFA studies catapulted me into a new area of writing,” Simon says. 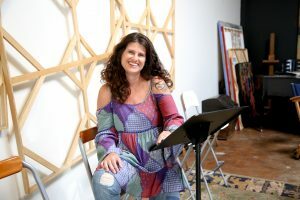 In 2012, she moved to Laguna Beach to begin working as a playwright and to join the artistic staff at Laguna Playhouse, where she served as literary manager and resident dramaturg. Lojo Simon wanted to offer a different kind of theatrical experience focused on dialogue, without costumes or sets. Simon’s process begins with selecting a play and then casting from a core group of actors she has worked with over the years, to whom she sends scripts by email. From there, the rehearsal schedule is kept to a bare minimum: There is only one afternoon rehearsal prior to a show. No sets, lights or costumes are used—only music stands that hold the actors’ scripts, which keeps the audience’s focus on the dialogue at hand. After the performance, a professional facilitator, preselected by Simon, leads a discussion related to the material in the play. And, more recently, Simon brought “Bakersfield Mist,” written by Stephen Sachs, which tells the story of a bartender who is convinced that her thrift store purchase is actually a Jackson Pollock art piece, to the stage. The post-performance discussion was led by Jonathan Burke, president of the Laguna College of Art & Design. 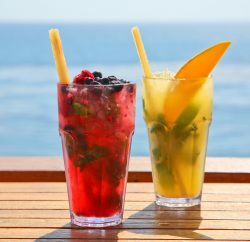 And “Bakersfield Mist” was just one of six shows that Simon will have put on this year, with three in the spring and three in the fall—some of which took place at Laguna Playhouse. The final show for 2016, “The Good Father,” written by Christian O’Reilly about two strangers whose lives change after they meet at a New Year’s party, will take place at 7:30 p.m. Monday, Nov. 14, at Sandra Jones Campbell Studio. Theatre for a New Generation’s “The Wrestling Season” explored issues like sexual identity and bullying. Meanwhile, at Laguna Playhouse, teenagers have a similar opportunity to engage with theater in new ways under Inglima’s leadership. 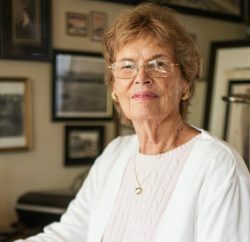 In 1998, Inglima joined the playhouse and began working with former youth theater director Joe Lauderdale to expand its offerings and opportunities for young people. Notably, in 2001, Inglima and Lauderdale began to discuss how they could reach youth that were not part of Laguna Playhouse’s programs. They decided to start a new series of performances specifically geared toward teenage audiences. 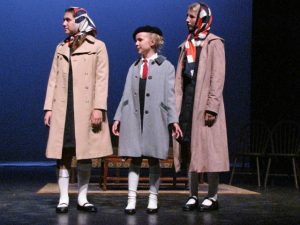 Soon after, the production of “And Then They Came for Me: Remembering the World of Anne Frank,” by James Still, was a hit and Theatre for a New Generation (TNG), an offshoot of Laguna Playhouse’s Youth Theatre programming, was born. Since then, TNG, which is today an annual series produced by Inglima, offering four to six showings of a contemporary or historical play over a single spring weekend, has presented countless productions designed for students, educators and parents. Many of the shows pertain to mature historical or cultural events, such as the Holocaust, and the goal is to help teens become more comfortable with difficult or complicated material by allowing them to engage with it differently than they would at home or at school. Donna Inglima helped to expand performances for teens. In addition to examining significant historical happenings, the TNG series also explores relevant topics such as sexual identity, teen pregnancy, alcohol, drugs and bullying. Productions such as “Give a Boy a Gun,” by Todd Strasser and adopted by Inglima, and “The Wrestling Season,” by Laurie Brooks, are among those shows organized by Inglima over the years, and that examined issues of gun violence and sexuality, respectively. And such heavy topics require a subsequent open dialogue to help teens navigate the issues at hand; after each production, similar to the Bare Bones Theatre’s program, a discussion takes place with a carefully chosen local expert. At Laguna Playhouse, teenagers have a similar opportunity to engage with theatre in new ways under Donna Inglima’s leadership. 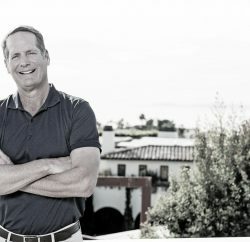 Following the performance of “Eat (It’s Not about Food),” by Linda Daugherty about eating disorders, for example, Inglima brought in Dr. Tom Bent, a family doctor and chief operating officer of the Laguna Beach Community Clinic. Bent moderated a discussion between Nicole Bourquin, founder and executive director of the Eating Disorder Foundation of Orange County and a licensed marriage and family therapist, and the audience. “There’s a lot of silence around eating disorders. It’s about being an advocate,” shares Inglima, who recalls the very powerful impact that the play and discussion had on teenage audience members. And for Inglima, some of that impact is a result of the teenage actors themselves; choosing teens to play the roles in a given play is just as important as selecting experts when it comes to the success of a production. “For a child or teen coming and seeing themselves reflected in the story gives the message … [of] ‘I could … [get through] that,’ ” she says. Coming spring 2017 is “Hana’s Suitcase,” by Emil Sher and based on the book by Karen Levine. The book and play recount the true story of a Japanese educator and director of the Tokyo Holocaust Center, who receives a suitcase from Auschwitz in 2000 marked with the name Hana Brady. As the play unfolds, the educator seeks to uncover information about Hana and her family, whose Czech town was invaded by the Nazis.